Hey Writers, It’s National Poetry Month! 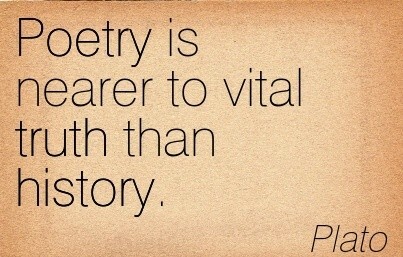 As many of you likely already know, April is National Poetry Month. This is particularly an exciting time for student writers, as many different events pop up this month to honor the written word for those who have a knack for rhyme, meter, or rhythm. Although this is also a hectic time of year, what with the spring semester coming to a close, there are still a couple of events left that showcase poetic talent right here in Omaha. On Wednesday, April 23rd, the on-campus group Maverick Productions is hosting the MavProse Poetry Series on Pacific Campus at the Peter Kiewit Institute (PKI) room 158 from 7:00-9:00 pm. This event will comprise of multiple students sharing original poetry, short stories, acoustic music, etc. The best part is, anyone can participate! Free coffee drinks will be provided for each person attending by the Sleepless from Seattle Coffee Cart and there will be raffles for prizes, like gift cards to the Bookworm. As writers, we simply must participate especially if a bookstore gift card is up for grabs! If you are interested in participating or have questions, e-mail Maverick Productions member Libby Kane at lkane@unomaha.edu. The following evening on Thursday, April 24th, from 7:00-8:30 pm, many students from UNO’s Writer’s Workshop will be reading their various original work at the Kaneko Library downtown. The Kaneko is located at 1111 Jones St., which can make for a fun spring evening downtown in the Old Market after the reading concludes. There are some great opportunities to support you classmates and friends during National Poetry Month, and even the chance to participate in one if you’re not already signed up to do so. We hope you can make it to one or both events and look froward to seeing you there. Happy National Poetry Month! Remember, the extended deadline for Issue 3 submissions ends TODAY! If you haven’t already sent us your original, creative work of fiction, creative non-fiction, personal essay, micro fiction, poetry, art, etc. do so by the end of the day. We want what you’ve got! ← Surprise! We’ve Extended the Deadline!